OMG, shut up Lance Bass… seriously! 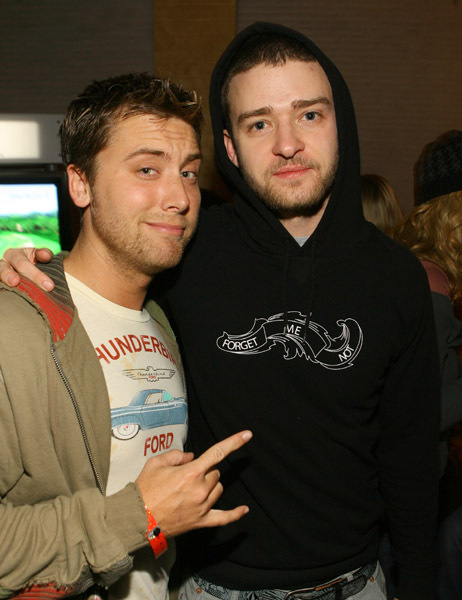 The former NSYNC star says he was shocked and surprised when Justin Timberlake‘s new single Suit and Tie was released as JT hadn’t informed him about his musical comeback. Why should he anyway?! He’s not a child! Well, it looks like Lance is being a big baby as he tells Us Weekly he thinks Timberlake was hiding it from them because he’s been busy, yet he’s still astound as to why he didn’t get a phone call. Lance clearly didn’t get the memo that Justin doesn’t want anything to do with him or the rest of the NSYNC members — non of them were invited to JT and Jessica Biel’s wedding because the 31-year old just feels like he has grown apart from the people who was once really close with. Awww, so it’s kinda like the whole Spice Girls thing going on here – like Victoria Beckham failing to communicate with her former girl group members.